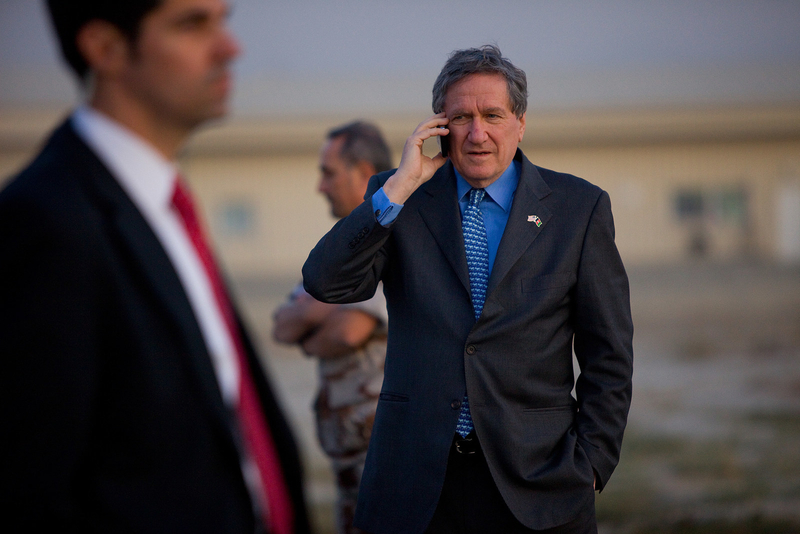 The exchange between Holbrooke and Biden appears in George Packer’s stunning new biography of the diplomat, Our Man: Richard Holbrooke and the End of the American Century (Knopf, May 7). If you’re one of the dozens of people running for president, the book is probably the best guide you can find to navigating a transitional moment in American leadership and foreign policy. For the rest of us, it’s a gripping read, and a sad one: It’s the story, ultimately, of a man who “clawed his way up the slope of an establishment that was crumbling,” and of the end of America’s 20th-century ambition to lead the world. 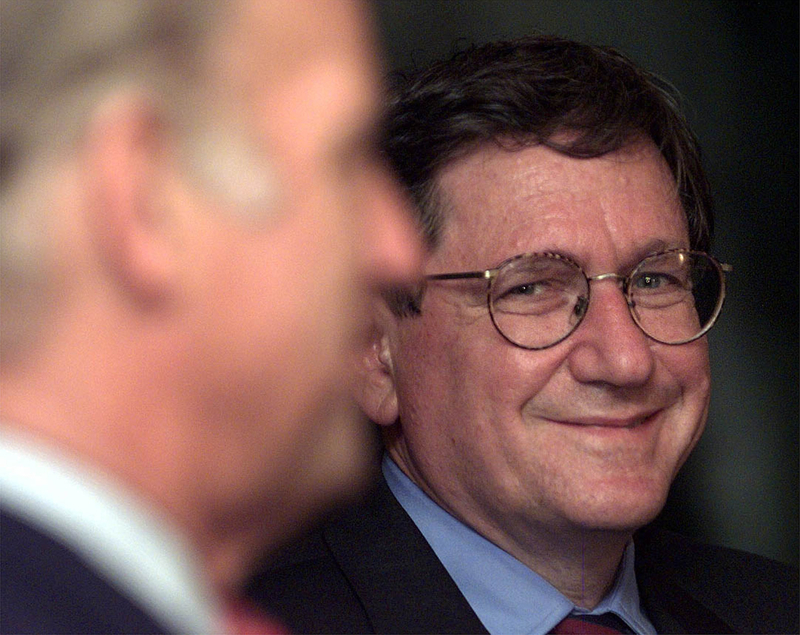 Holbrooke — brilliant and ambitious and irritating, particularly to Barack Obama, and widely disliked but superbly connected — was the last of a 20th-century American type, as Packer portrays him. He played a central role in the last successful use of American force in the American Century, saving Bosnia’s Muslims from Serbian aggression and making peace in Dayton. Newly appointed US ambassador to the United Nations, Richard Holbrooke (right) looks at then-senator Joseph Biden, who sits on the US Foreign Relations Commitee, during a joint press conference in Pristina, Kosovo, Monday, Aug. 30, 1999. “In retrospect, Biden’s view that we should keep tightly focused on what brought us to Afghanistan in the first onscreen — defeating al-Qaeda — and not expanding the mission no matter how laudatory the goals was clearly correct,” Antony Blinken, a longtime Biden foreign policy aide and former deputy secretary of state, told me this week. 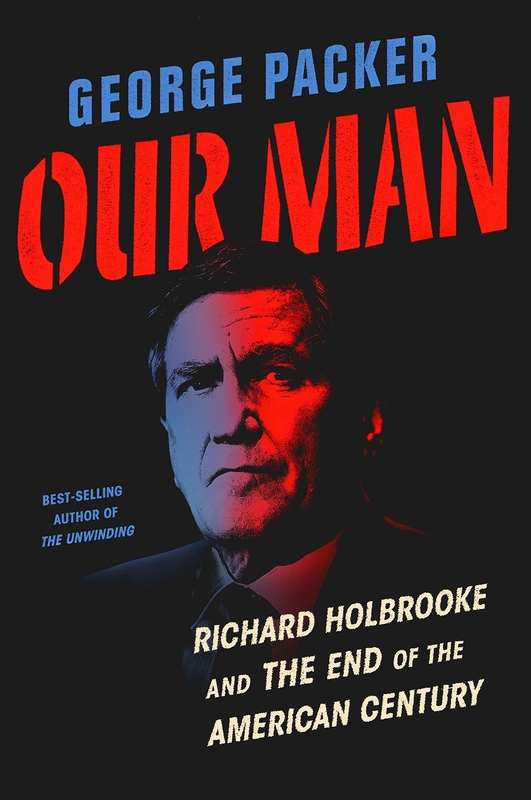 Our Man: Richard Holbrooke and the End of the American Century (Knopf) is available May 7.